SNAPSHOT: Isaac and Nneka Moses of Goge Africa fame step out with Isaac jnr. 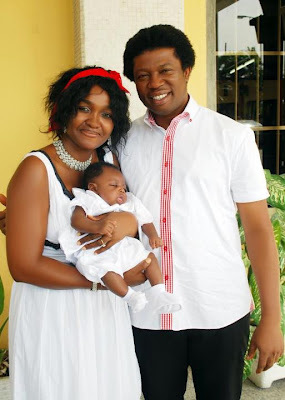 Isaac and Nneka Moses, Nigerian TV’s popular couple had their first child, Isaac Kamara Moses in February 2012 after 14 years of marriage. We are so happy to see the family together.